In the maze of narrow alleyways, an atmosphere reminiscent of ancient times, with old Moorish and Christian churches and buildings - this is Seville, a city worth discovering. Possibility of seeing the Alcázar and Parque de María Luisa. We will discover the capital of Andalusia on the loose. Seville is the meeting point of completely different cultures - from the Phoenician, to the Roman and from the Islamic to the Christian. The city was declared a World Heritage Site by UNESCO for its historical and architectural wonders, among which the Gothic Cathedral, which houses treasures of inestimable value as well as being the burial house of Christopher Columbus. We will plunge into the typical Andalusian atmosphere while walking through the Santa Cruz neighbourhood, the true heart of the city. A maze of narrow alleyways overlooked by white houses with flower-filled balconies. The Alcázar is also worth a visit. It was the residence of the kings and caliphs of Seville and was built in various stages by the Moors starting from 713 and then transformed into the residence of King Ferdinand III and of the monarchs following the reconquest of the city in 1248. We will then explore Parque de María Luisa, donated by the Duchess to the city in 1893. The scenery is truly wonderful, and architecture and nature coexist in perfect harmony. Cedar, elm and palm trees are reflected in the numerous ponds creating an enchanting atmosphere. 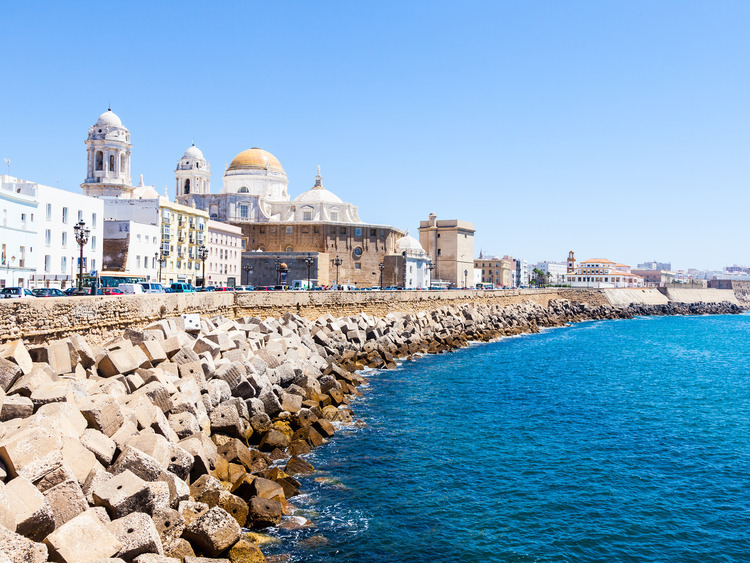 After a thrilling day dedicated to art and culture, we will make our way back to Cádiz.